You may have read that article about my approach of bringing WordPress content into a print design. If you didn’t, you should have a look at it prior to reading this article. This post is a follow-up and a prospect for the next steps of this project. 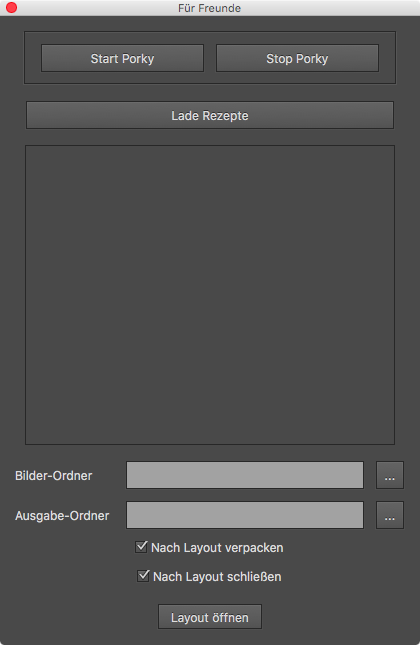 I’ve been adding an InDesign panel to the workflow. Put simply, it streamlines some functionality. As you launch the script the panel to the right opens. From there you can start and stop the auxiliary library Porky and as soon as you have this up and running, you may fetch a list of recipes. From the list of recipes you may choose one and let the script do the work. As I described before, we opted for the replication of the folder structure in WordPress, so I developed a plugin, which uploads images in a special subfolder on the WordPress site. As soon as you choose one recipe from the list, you may hit the button below to open the recipe template and let it be filled with the data from the WordPress instance. Those two checkboxes at the bottom let you package the document as soon as the import is finished and automatically close the document after that. The next step would be to add some GREP search and replaces and a PDF export. 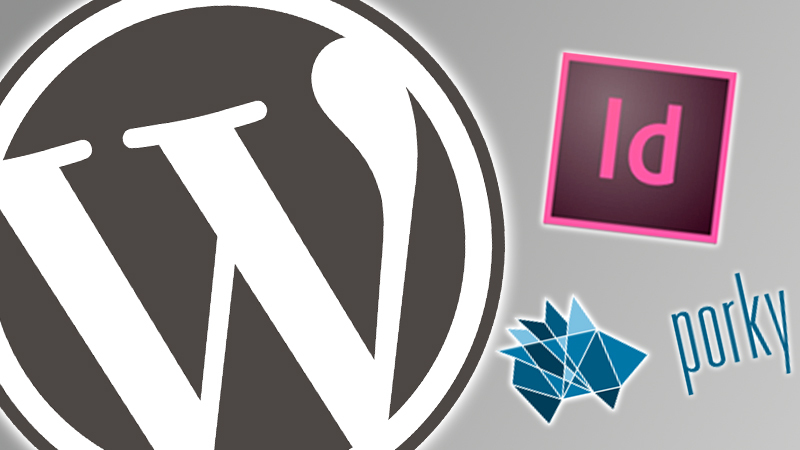 ← Adobe’s Edge Animate is a s…uper tool!